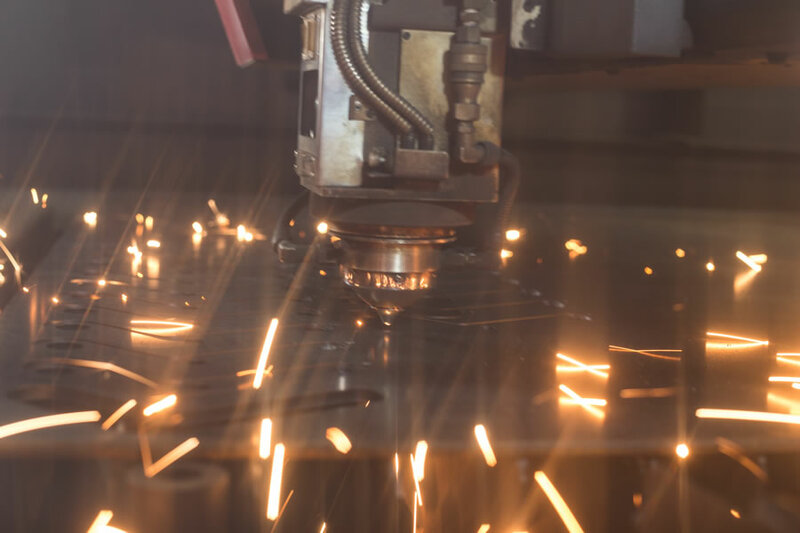 We have modern 4,000W flying optic lasers with a max work envelope of 80” x 160”. 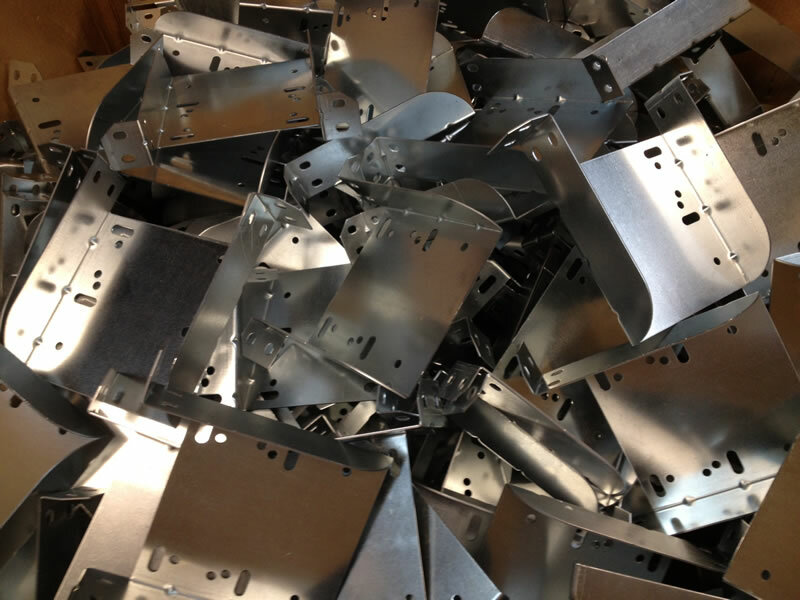 We can cut up to ¾” thick mild steel, 3/8” thick stainless and ¼” thick aluminum. 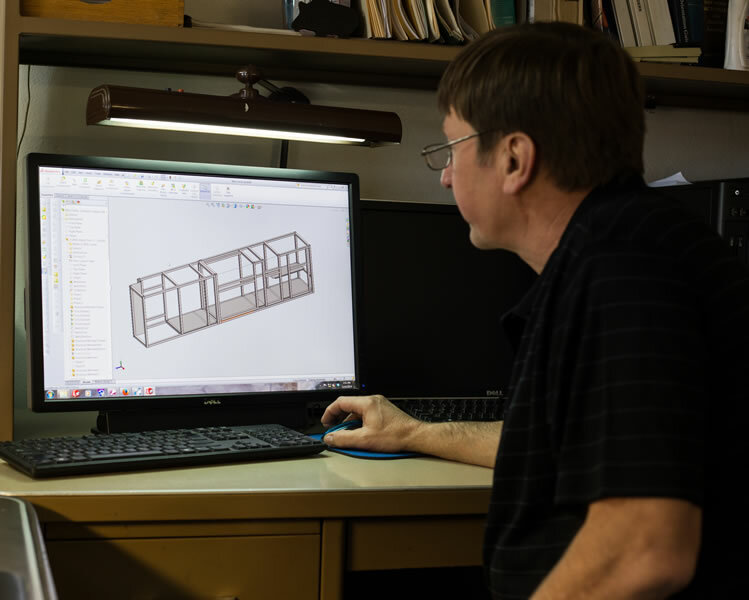 We program in AP1000, but have software to translate just about any modern CAD file or model. 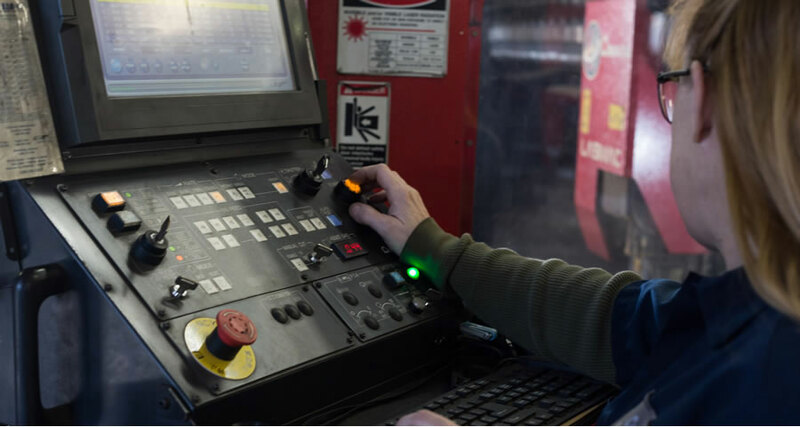 We have many press brakes ranging in tonnage from 90T to 750T in lengths from 8ft to 16ft. 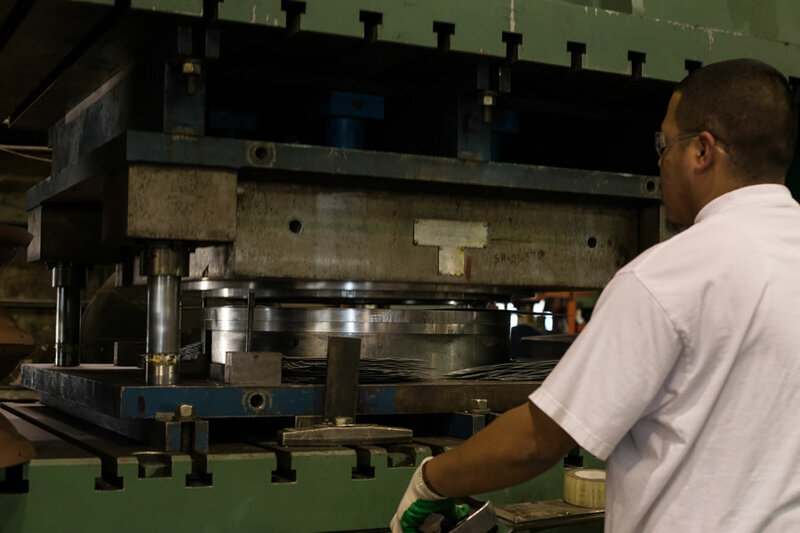 We have several CNC brakes for complex, precise parts, mechanicals for mass produced parts and hydraulics for big, heavy parts. 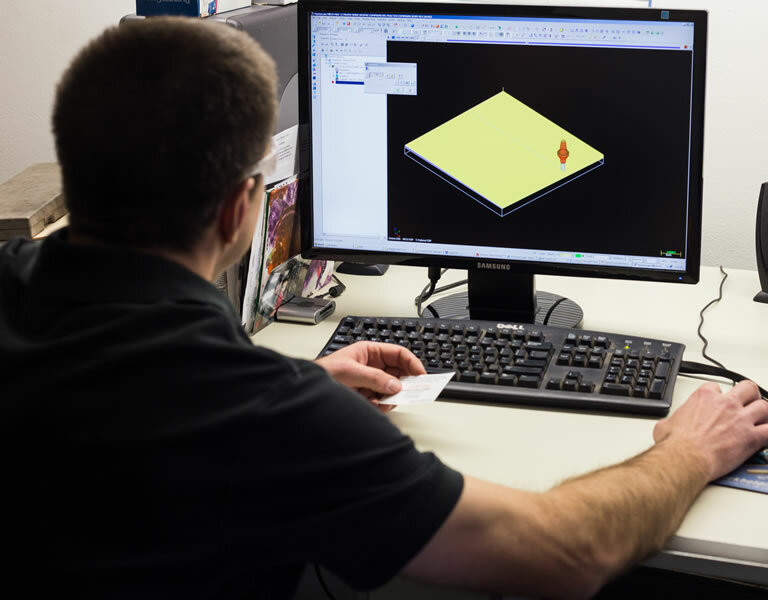 With years of experience, competent operators and modern software (SolidWorks), we can develop and cut a complex blank and bend your part correctly the first time. 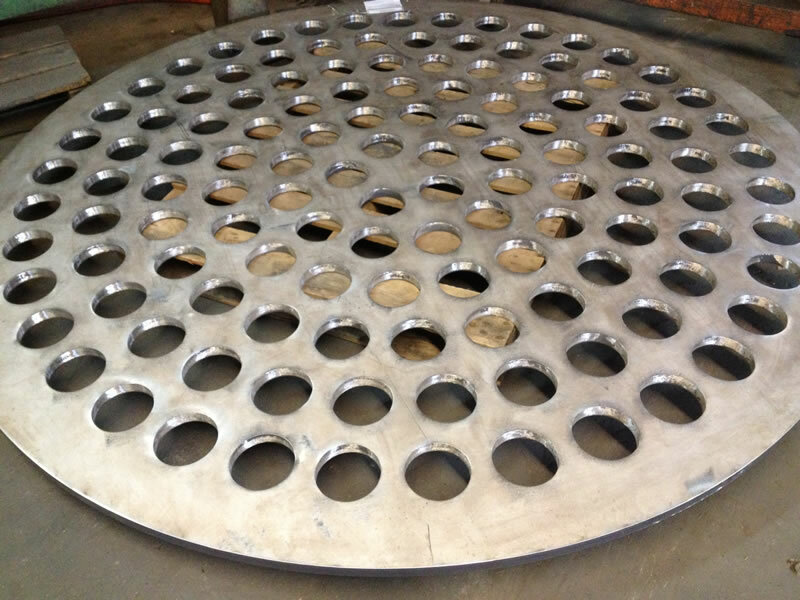 We have a 260amp HyDef torch on a CNC burn table with 106” x 300” travels. 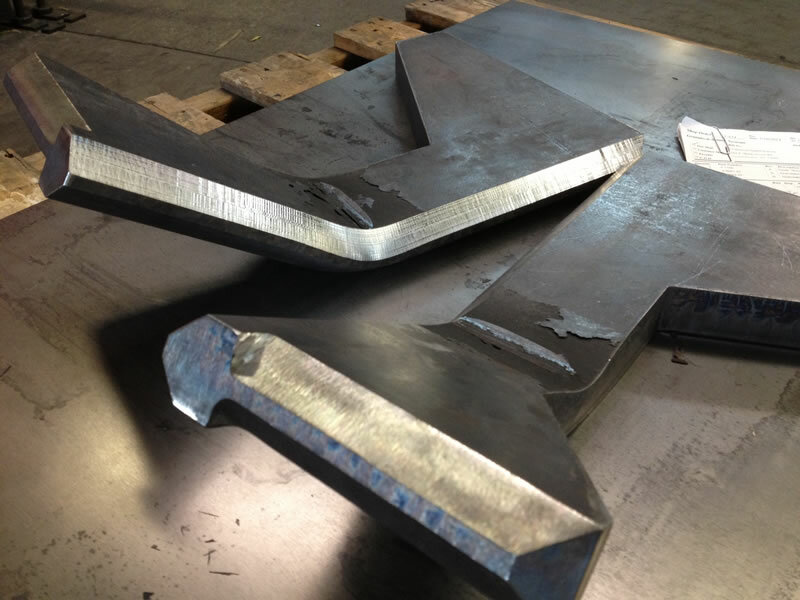 We program in BobCAD and AP1000, but have software to translate just about any modern CAD file or model. 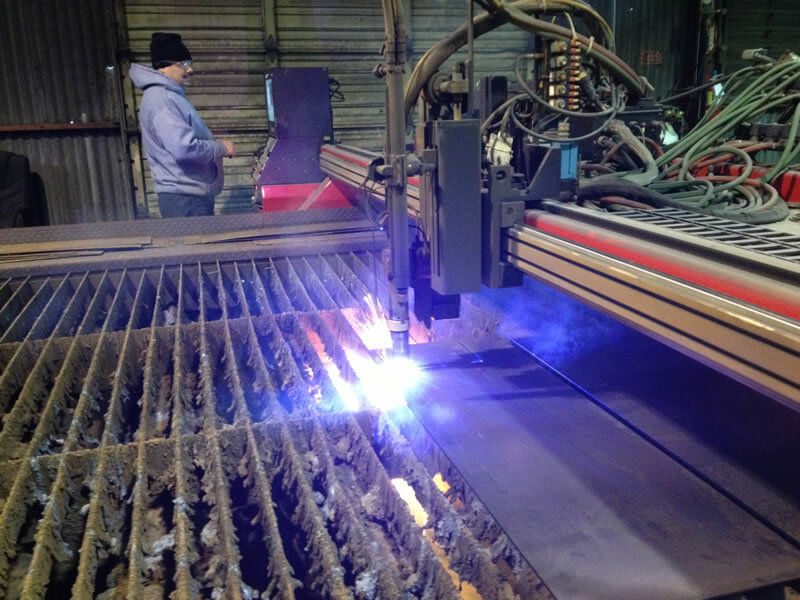 We have capability to burn with up to four torches simultaneously on our modern CNC burn table with a 106”x 300” work envelope. 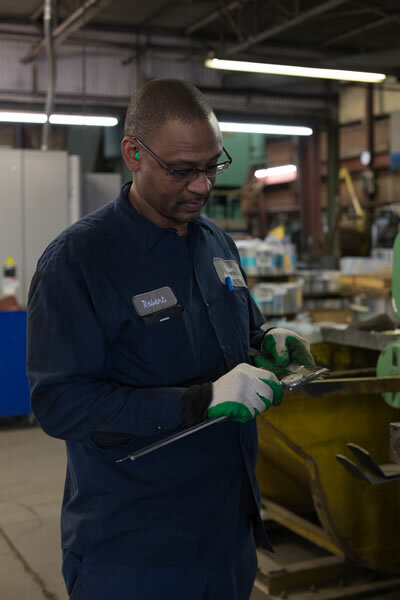 Since most of the parts we burn get subsequent machining or bending, we pay very close attention to the process and are able to achieve superior edge quality and dimensional tolerances. 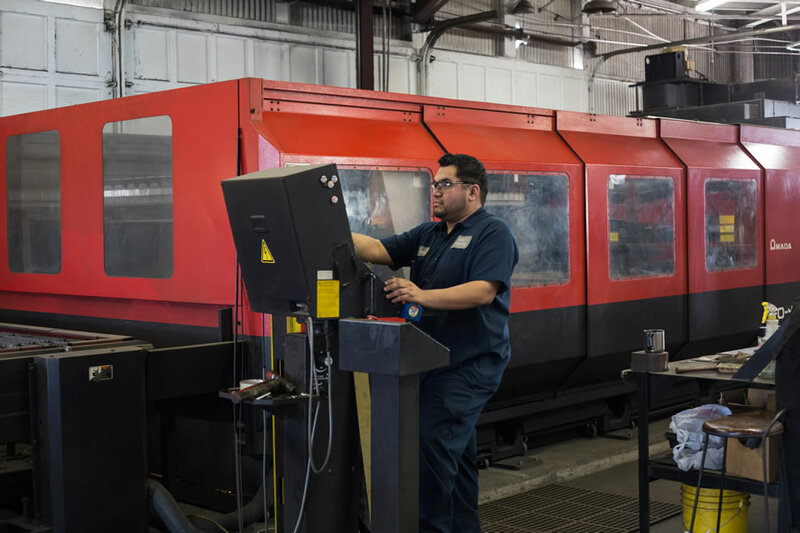 We have several CAT50 CNC machines, with a max capacity 60” x 80” and 35HP for heavy metal removal. 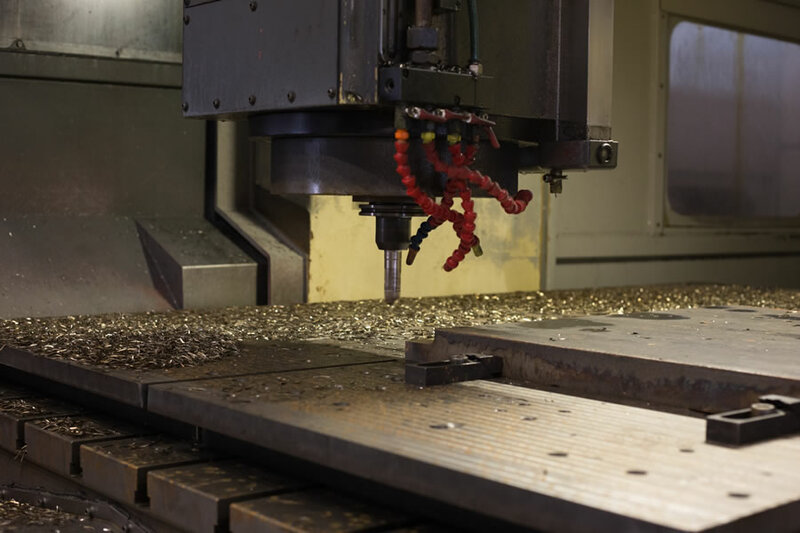 We also have CAT 40 CNC machines, with a max capacity 64” x 32” and 10,000 RPM. 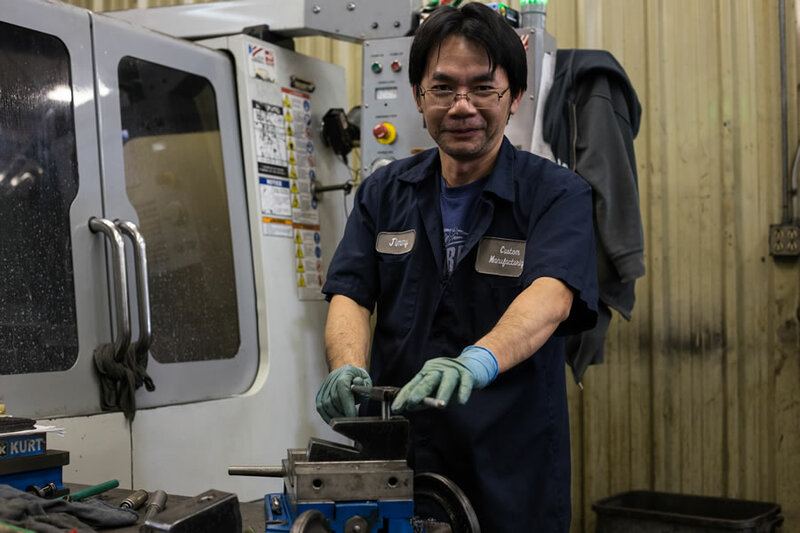 We have several programmers and two seats of Mastercam. 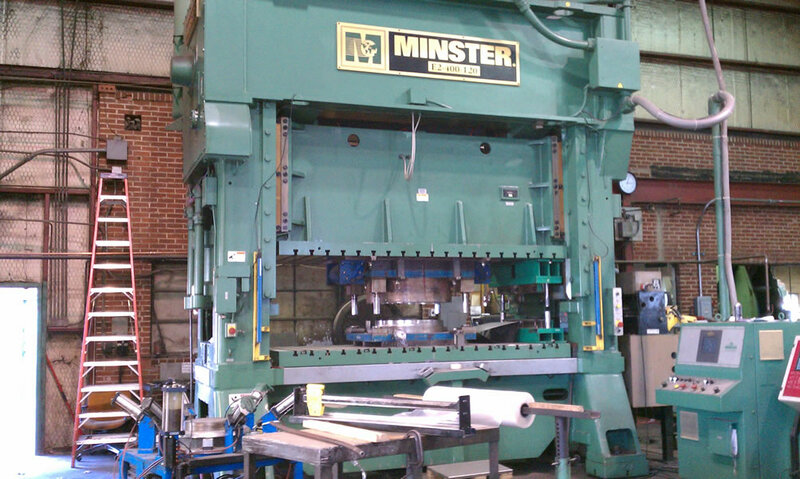 We also have manual lathes and drill presses. 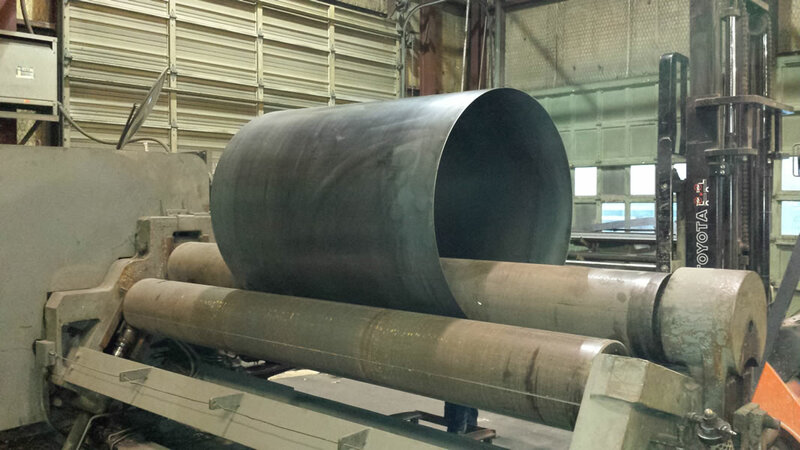 We have a ½” x 10ft plate roll and smaller machine for lighter work. 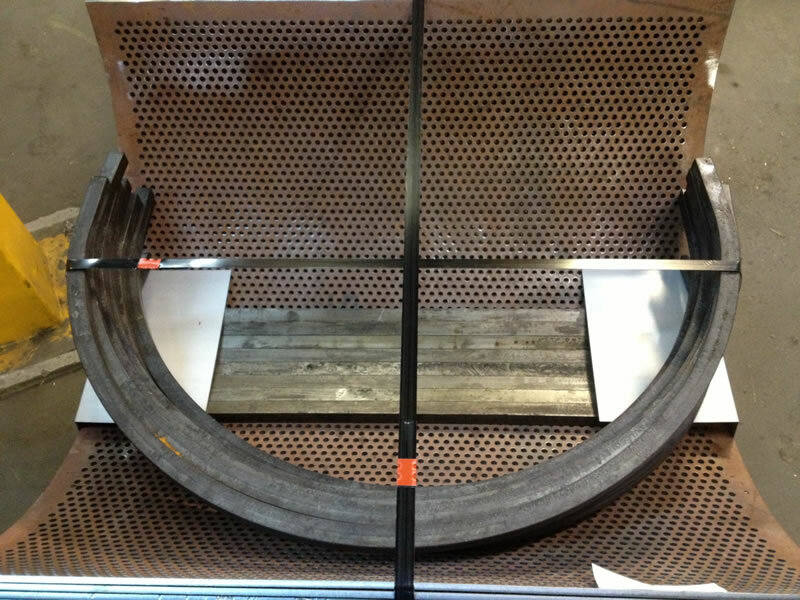 We have a new angle roll with maximum capacity of 2” x 2” x ¼” HRS angle. 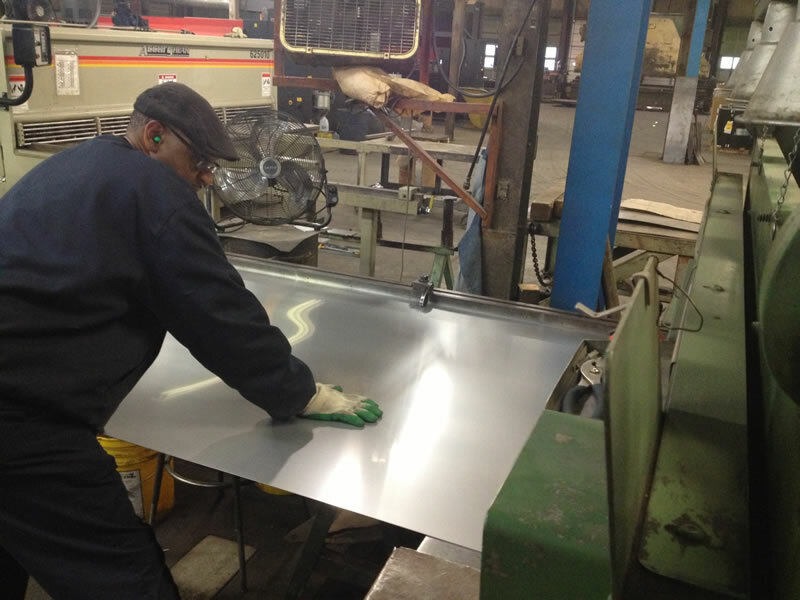 We have four presses equipped with modern servo feeds. 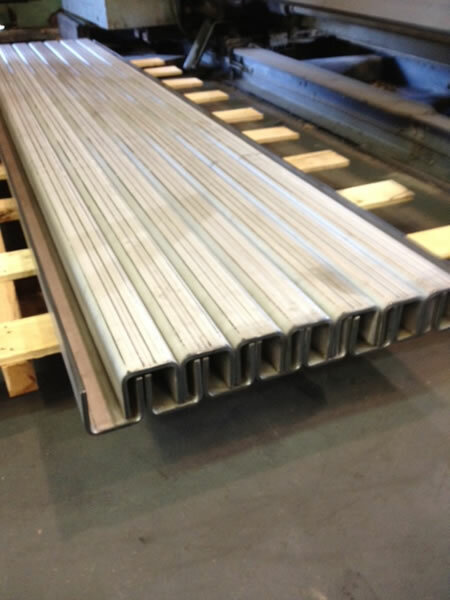 The largest of which is a 400 ton Minster with a 36” wide coil capacity and a 54” x 120” bed size. We also have a 300 ton Verson with a 42” x 84” bed as well as newer 150 and 200 metric ton Komatsus. 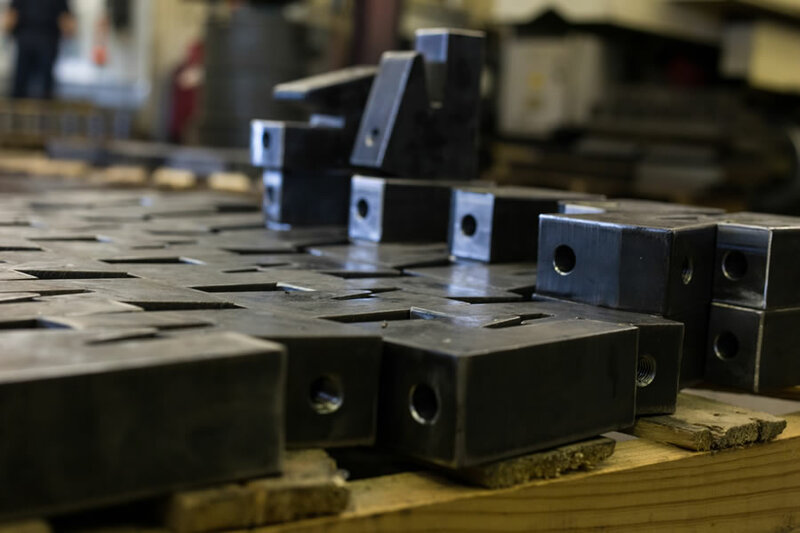 We have many presses for blanking, coping & forming ranging from 60 ton to 400 ton. 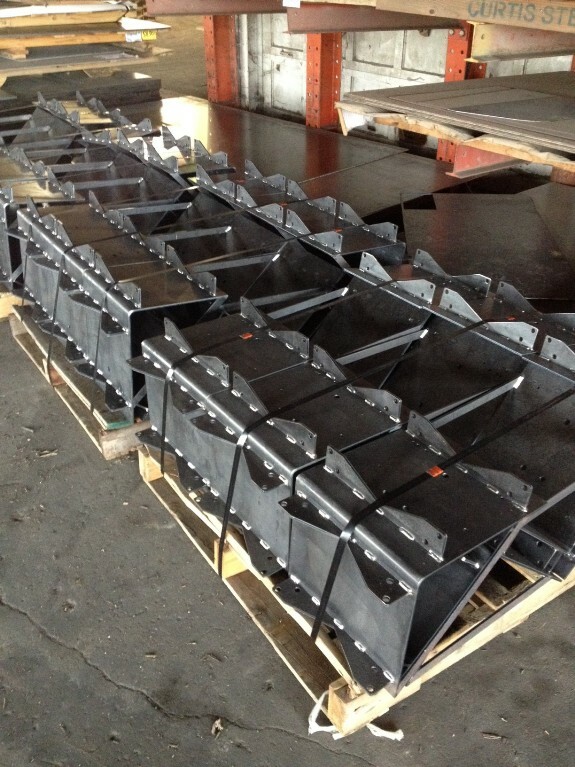 We have two high speed 6ft mechanical shears as well as a 10ft high speed hydraulic shear with NC back gauges. 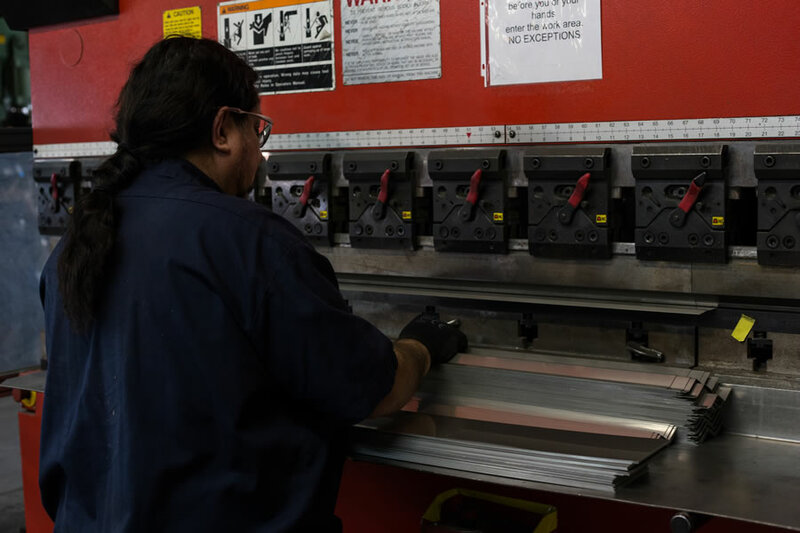 Maximum capacity is 3/16” mild steel, but we specialize in shearing high precision blanks for our press brake department. 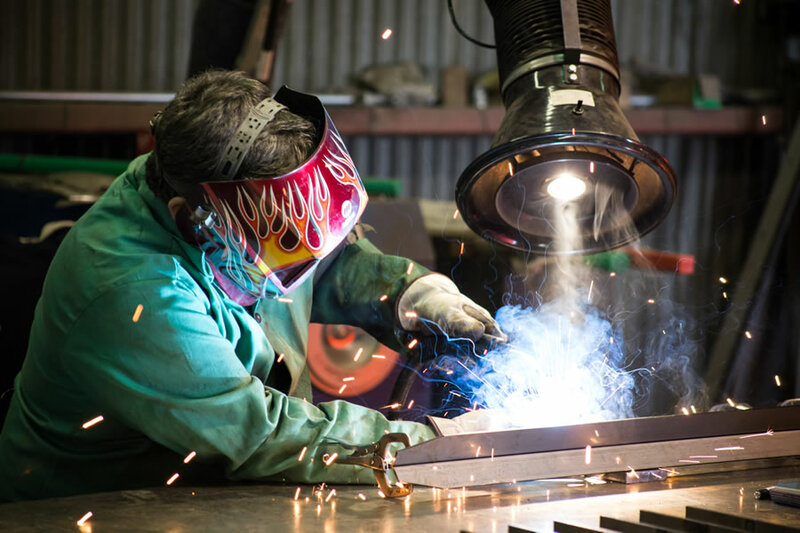 We do TIG, MIG and Stick welding in carbon steel and stainless. 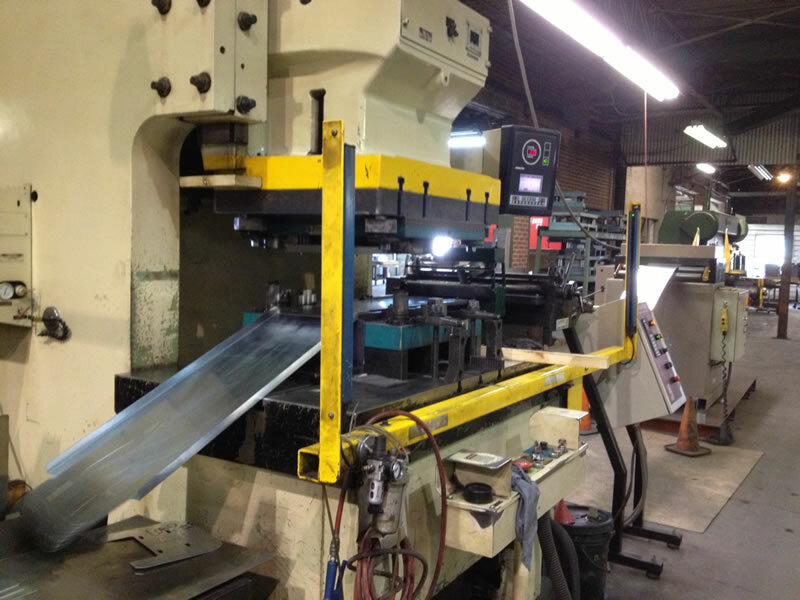 We have two automatic horizontal band saws and several roll in saws. 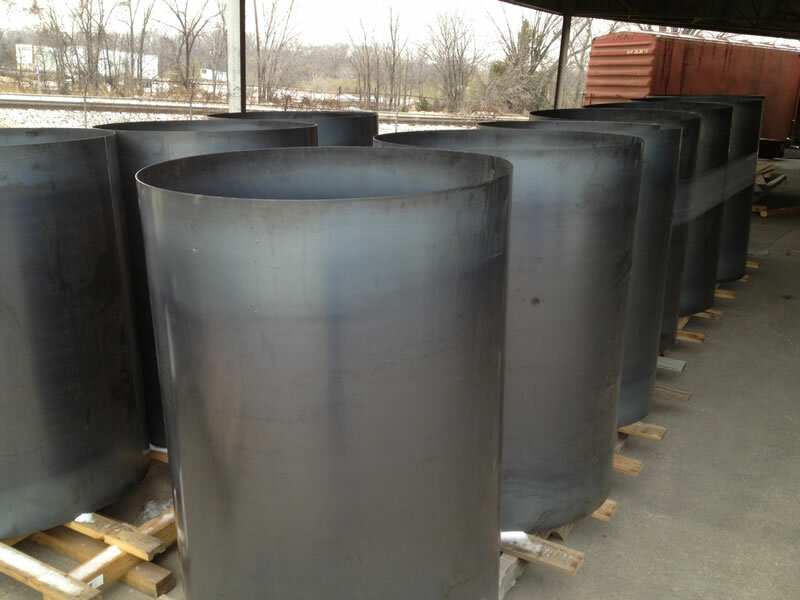 We primarily saw raw materials to bend, roll, or machine. We have a 50HP Blanchard grinder with a 42″ diameter table.